Mandaluyong—(PHStocks)—Filinvest Land Inc. (PSE: FLI) signed a joint venture agreement with the Bases Conversion and Development Authority (BCDA) for a 288-ha section of Clark Green City on January 8, 2016 after earlier winning the bid for the development rights of the project. Located within the Clark Special Economic Zone in Tarlac, the property is part of the expansive Clark Green City, a master-planned district envisioned to become the first, smart, green and disaster-resilient metropolis in the Philippines. Clark Green City, which will ultimately cover 9,450ha, adjoins the Clark Freeport Zone and the Clark International Airport. Being at the convergence of vital infrastructures and road networks, it is expected to generate billions in investments and thousands of jobs. This modern metropolis is positioned as a destination where nature, lifestyle, business, education and industry converge into a global city based on principles of sustainability. To be built through a joint venture corporation, the Filinvest parcel is part of the first phase of development. Filinvest president and CEO Josephine Gotianun-Yap says the company will sonn be mapping out development plans. Based on the terms of the joint venture, the Filinvest parcel will have two distinct components: an industrial zone and a mixed-use development with residential, office, commercial and institutional elements. “As the pioneer involved in Clark Green City, we are excited to be a catalyst of growth in such a visionary endeavor. At the same time, this is also a prime opportunity for us to expand our geographic footprint in Northern Luzon,” says Gotianun-Yap. 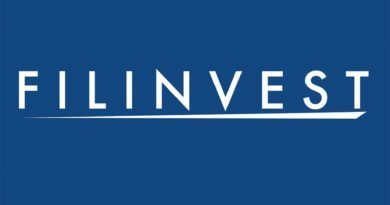 The chief executive also explained that this latest joint venture will allow Filinvest to apply its expertise in large-scale, mixed-use township developments. The company is currently developing several large-scale townships in Alabang, Rizal, Laguna, and Cebu. The Filinvest group is responsible for two major CBD developments – the 244-ha Filinvest City in Alabang, Muntinlupa and the 70-ha City di Mare at the South Road Properties in Cebu City, both in joint ventures with the government. In Rizal, Filinvest is behind the thriving Havila townscape which spans almost 300ha across Antipolo, Taytay and Angono, and the 677-ha Timberland Heights, a mountain suburban townscape in San Mateo. Development is also in full swing for the 350-ha Ciudad de Calamba, a multifaceted community that features commercial, residential and industrial elements in progressive Calamba, Laguna. The 288-ha Clark Green City parcel will be developed through a joint venture corporation, with Filinvest and BCDA holding 55% and 45% ownership, respectively. It has a term of 50 years, renewable for another 50 years.